Photo Diary: Fernando Bryce at Alexander and Bonin in Chelsea. The result is a chronicle of the war that is intensely personal, providing the rare opportunity to view this much-studied global conflagration through a uniquely Latin American lens. Not only are there some interesting historical finds, such as an ad for a 1940s Disney film geared at and incorporating South Americans (see below), the film posters featured — for flicks such as La Sombra del Terror (The Shadow of Terror) and Los Crimenes del Doctor Satán (The Crimes of Doctor Satan) — seem to echo, in exaggerated, graphic form, everything happening in the news. 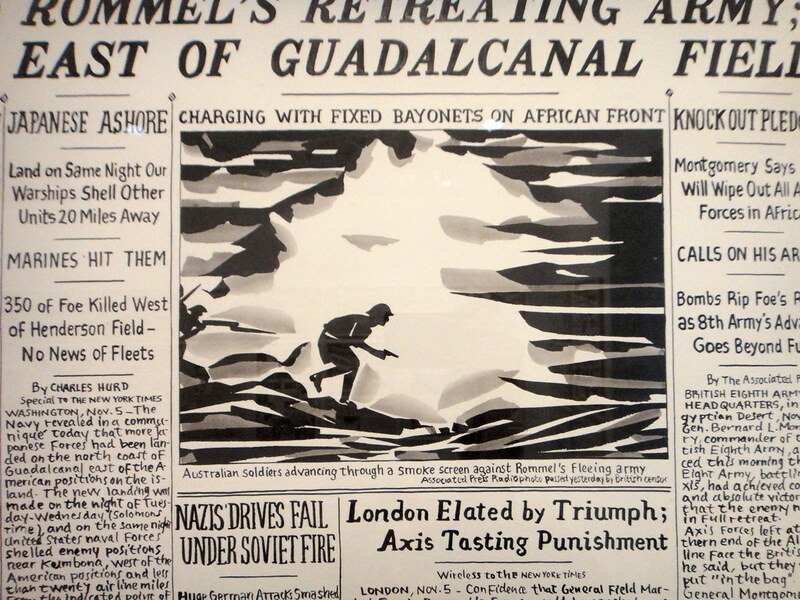 In addition, Bryce’s illustrations are exquisite, turning scenes of war into works of ethereal beauty (such as the image of the Australian soldier, above, from the New York Times). 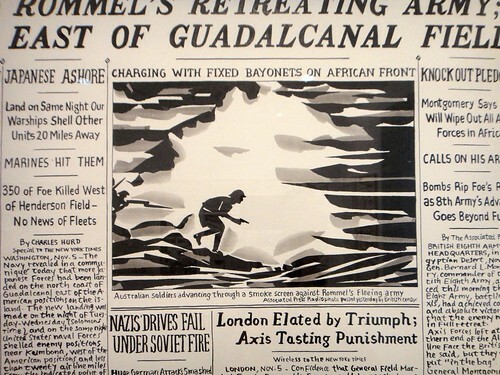 Taken together, the exhibit provides a riveting take on the nature of war, news, propaganda and graphic art. Consider it a must-see. The show is up through Saturday, at Alexander and Bonin. What is the art in social practice? Find me over at ARCHITECT. 2. Marcos Zimmermann's South American Nudes. 3. Art That Loves You Back: Ernesto Neto at the Park Avenue Armory. 4. Photo Diary: John Baldessari's 'Pure Beauty' at LACMA. 5. Food as Art: My dinner at El Bulli. 6. In Fashion: American High Style at the Brooklyn Museum. 7. Cruise Ships: The architecture of overstimulation. 8. 'Action/Abstraction' at the Jewish Museum. 9. Admiring Museum-Quality Pizza at MoMA.